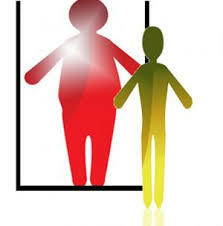 You don’t have to lose 5 to 10 kilograms, get a makeover or buy a whole new wardrobe to feel better about yourself. Boosting your body confidence is 90% mental, say experts with a wide range of real-world experience. Try out their advice and see how much better you feel, starting today. Think of what your body can do, not what it looks like. You can walk and run and bike and lift and grow little people inside of you! How amazing! Instead of criticizing what your body looks like all the time, show it a little love by appreciating what it does for you every day. Set goals to do something (like run a marathon) and you’ll be more likely to accomplish those goals and feel good about yourself. You eat a balanced diet, you fit activity into your daily routine, and you enjoy yourself when you’re out with friends rather than fret over how many calories you’re consuming. Isn’t that healthier than being at a certain weight or size? Health is about feeling great, and if you’re killing yourself trying to be “healthy,” something’s wrong with your approach. Everyone is built differently, with different heights, bone densities, and amounts of muscle (which weighs more than fat) on their bodies. Daily fluctuations in water weight can tip the scale up to two kilograms in either direction, so if you step on the scale every day, you might be tempted to micromanage yourself. If you need to monitor your weight to stay on track or maintain, set aside a weekly or bi-weekly time to step on the scale. Tight clothes make you gratingly aware of your body all day, stripping away your confidence. If you have to go up a size to feel good in your clothes, do so rather than try to squeeze yourself into the size you think you should wear. Move mirrors out of plain sight. Try limiting the number of mirrors in your home to only the essentials—perhaps a full-length one and a makeup mirror. Keep positive people around you. Keep people around you who build you up instead of tearing you down and yourself image will improve greatly. Stop being friends with someone just because they’re trying to lose weight and someone’s constantly talking about their diet and how many calories they eat every day, it gets in your head. If your friends’ talk about dieting is making you feel self-conscious about relaxing yours from time to time, try to move on to a different subject and, if that doesn’t work, hang out with the friends who are more focused on having a good time and enjoying each other’s company. Plan to eat regular meals and snacks throughout the day. Not only is eating frequent meals good for your metabolism, it prevents you from getting too hungry, which can cause overeating and inevitable guilty feelings. Planning your meals can help make you feel in control, and self-discipline is a huge part of self-worth.